In simple terms, your brand represents who you are, and marketing refers to the act of delivering your brand message. When I was first starting out, I didn’t have much of a marketing budget, so instead I focused on branding my business. By making myself, and my business, a memorable brand, I generated tons of word-of-mouth referrals! From my cute pink consultation tool belt, to my letterhead, logo on my vehicle, website, marketing materials, and adding a touch of “pink” in everything that I did and wore, I not only provided great service to my clients, but I was easily remembered. When someone drove by my house and saw my company’s sign on the lawn, they didn’t write down the phone number or website to call me right away, but when they searched for my company online, they recognized my logo and my brand. What does this mean to you and your business? Establishing, and promoting your brand will help you to stand out. The greater your brand recognition, the better your chances of being remembered when someone is looking for you. Remember that 97% of your clients are not looking for you, but when they are ready to find you, you’ll want to be sure that your company is top of mind. How will you create your “brand” recognition? Enlist the services of a professional to design your logo – this is your company’s first impression, and you want to ensure that it’s a clear and positive one. Your logo is not only about the graphics, but also the colours and the font that you select. Choose your colours carefully – remember that these colours will then be used in all future branding. Take into consideration the science behind the colour(s) that you choose. Next, decide whether or not your name will be a part of your logo, and consider what other elements you wish to see – it may be abstract or specific, depending on what you wish to portray. In addition to your logo, a catchy tag line can also help to establish your brand. This would generally be printed with your logo, and essentially become your company’s mantra. Branding extends to every aspect of your business, from how you answer your phones, to what you and your team wear, your e-mail signature – everything. Be consistent, and be memorable. Want to learn more? 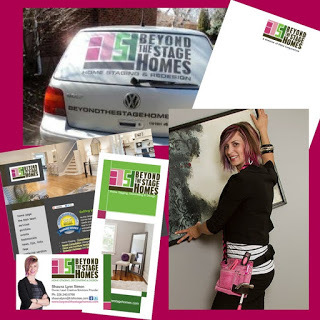 Check out our on-demand webinar replay of Build Your Brand to Build Your Home Staging Business.